4 Sides joined together to one object. 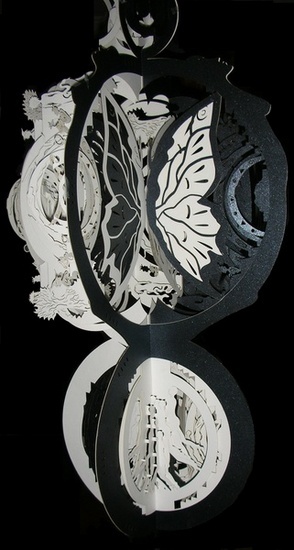 Each side is cut/folded out of a single piece of paper. Within the object, another design is created. The entire object can be brought back to 1 flat surface.